Wichita, Kansas police are on the hunt for Benjamin Redgate, who they suspect is partly responsible for the death of Luke German, the result of a disagreement over a "video football game on PlayStation 3." 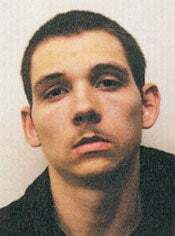 Benjamin Redgate's older brother has already been arrested on suspicion of second-degree murder in relation to the case. The Redgates are suspected of inflicting "severe internal injuries" upon German, who died at Wesley Medical Center.